Losing the majority of teeth of your upper or lower jaw can cause everyday activities to become more difficult. In addition to difficulty chewing or talking, missing teeth can cause a patient to feel embarrassed or self-conscious. With innovations in the field of oral surgery, dental implants have emerged as a permanent solution to missing teeth. While traditional dental implants are a highly effective option to replace missing teeth, they require an anchorage screw for each individual tooth being removed. For patients who are missing all of the teeth of the upper or lower jaw, this would result in a longer recover period. Fortunately, All-On-6 dental implants can replace all the teeth of the upper or lower jaw using just 6 anchorage screws while creating the same secure and natural-looking smile as dental implants. What are All-On-6 dental implants? All-On-6 dental implants is a type of dental implant surgery that can replace all the teeth of your upper or lower jaw using just 6 dental screws. All-On-6 dental implants can help restore a beautiful, natural-looking smile for patients who have lost the majority of their teeth or who have experienced dental trauma where many teeth are broken or unhealthy. Compared to traditional dental implants, All-On-6 dental implant surgery is less invasive due to the fewer number of anchorage screws needed. For example, if a patient was to have 10 teeth replaced using traditional dental implants, they would need 10 anchorage screws inserted. All-On-6 dental implants are able to replace all the teeth of your upper or lower jaw using only 6 anchorage screws, resulting in a shorter recovery time. What are the benefits of All-On-6 dental implants? In addition to the benefit of using only 6 anchorage screws to replace missing teeth, All-On-6 dental implants can be conveniently placed in a single visit to our Arlington oral surgery office. All-On-6 dental implants look, feel, and function like your natural teeth and do not require any specialized care, as traditional methods of tooth replacement like dentures and dental bridges do. Dental bridges and dentures can also lead to jawbone loss as there are no anchor screws to support the jaw. All-On-6 dental implants can help maintain healthy jawbone density and prevent the onset of jawbone resorption. Following All-On-6 dental implant surgery, patients are able to enjoy virtually any food again. 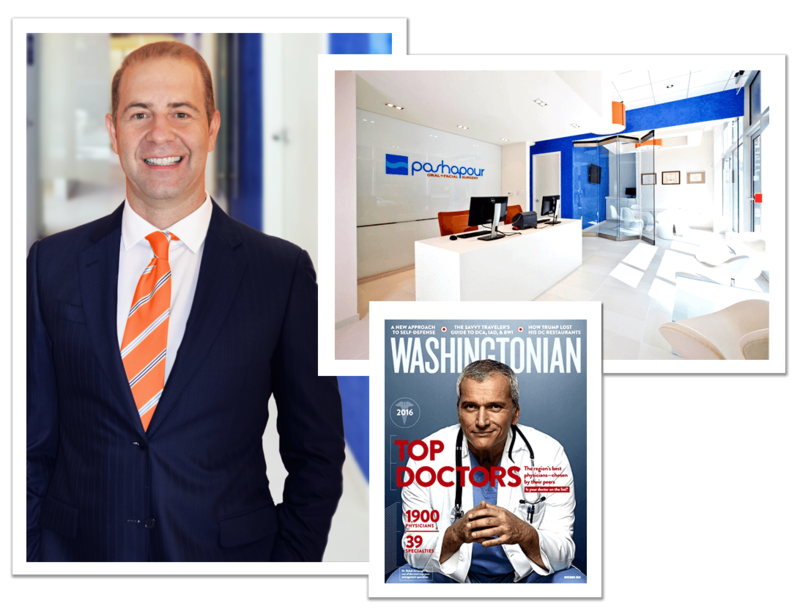 Does Dr. Pashapour remove teeth before placing All-On-6 dental implants in Washington, DC? Prior to the placement of All-On-6 dental implants, all the teeth of your upper or lower jaw, depending on which jaw the dental implants are being placed, must be removed. For a patient who has already lost all the teeth of his or her upper or lower jaw, Dr. Pashapour can begin placing All-On-6 dental implants. For patients who have any remaining teeth on the jaw that the All-On-6 dental implants are being placed on, these teeth must be removed before Dr. Pashapour can begin placing your new dental implants. The details of your specific All-On-6 dental implant surgery and possible tooth extraction will be discussed thoroughly with Dr. Pashapour prior to the day of your procedure. What Should I Expect During My All-On-6 Dental Implant Surgery? With prior planning to your All-On-6 dental implant surgery in Arlington, Dr. Pashapour will be fully aware of your specific needs and approach your procedure with the utmost care. Before placing your All-On-6 dental implants, Dr. Pashapour will remove any remaining teeth. Dr. Pashapour will then carefully place 6 anchorage screws throughout the gumline that will act as a secure foundation for your new teeth. A set of temporary teeth will be placed on the day of your visit as you heal from your All-On-6 dental implant procedure. What Should I Expect After My All-On-6 Dental Implant Surgery? Temporary teeth are placed so that you are able to eat and talk without difficulty while your All-On-6 dental implants undergo a period of osseointegration. This is when the anchorage screws of your dental implant begin to bond with your gumline and jawbone in order to create a durable base for your new set of teeth. The anchorage screws used during All-On-6 dental implants act similarly to the roots of your natural teeth, ensuring your implants are securely fastened to the jawbone. The process of osseointegration may take anywhere between 3-5 months. Following this, you will return to our office for a follow-up visit where a set of permanent teeth will be placed. Dr. Pashapour guarantees the life of your All-On-6 dental implants. How Can I Get Started With All-On-6 Dental Implants? Dr. Pashapour and his staff at Pashapour Oral + Facial Surgery would be happy to discuss the details of All-On-6 dental implant surgery with you. 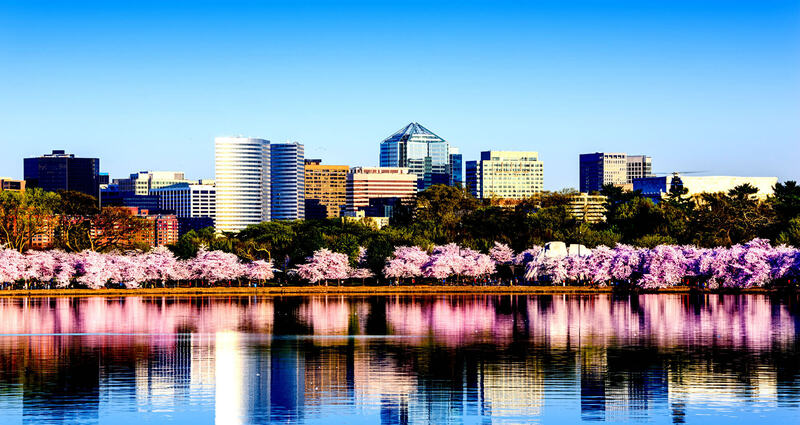 To schedule an appointment in Washington, DC or Arlington with oral surgeon Dr. Ali Pashapour, please call our office 703-566-1990 or request an appointment online.